Whether you’re sailing the heavy seas or cooling off on a hot day, X1600 3/4 pants have all the durability and functionality of X1600 pants at three-quarters the length. 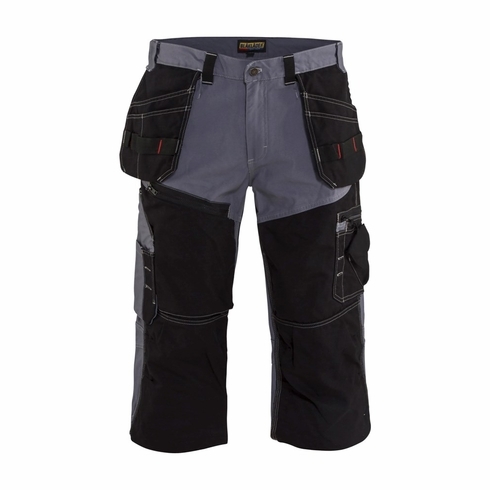 Pants are made of a heavy cotton canvas covered in extra-durable Cordura® shields. The Blaklader X1600 CORDURA® Work Pants aren't made for just any regular craftsman and the 100% cotton canvas base covered by extended leg shields makes them the pants of hammer-wielding warriors. The X1600 utility pants offer extreme functionality with plenty of extra strength tool bearing pockets right where you need them. The smart design has built-in utility pockets that can be tucked in when not in use. The durable CORDURA® kneepad pockets comfortably hold Blaklader foam or gel knee pads (knee pads must be purchased separately).